All DMC5 Skills List and their Red Orb Cost, showcasing each unlockable ability and how much you’ll have to farm. Some abilities are locked behind progression, so reference our Devil May Cry 5 Walkthrough to see when specific Weapons unlock. Some abilities are also locked behind Difficulties, so keep that in mind while playing. This post contains skill spoilers! There are trophies for unlocking all abilities available for all 3 main characters of the game. The trophy requires players to unlock a special taunt that costs 3,000,000 Red Orbs, so do not fret about unlocking them all early and focus on the skills that benefit your gamestyle. 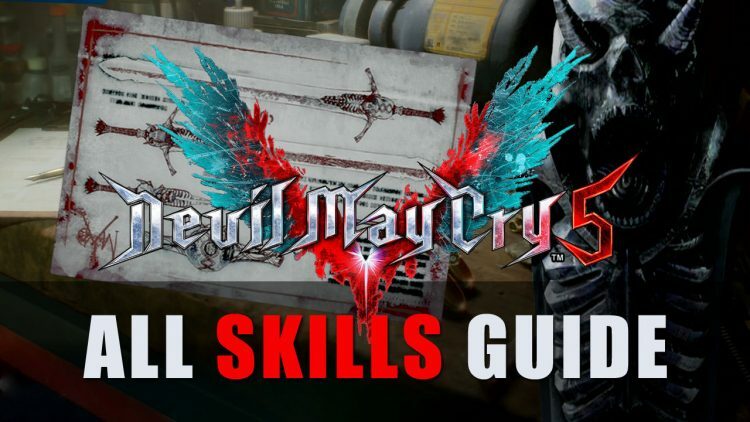 If you’re enjoying DMC5, make sure to check out our Devil May Cry 5 Review, the DMC5 Walkthrough, and our other DMC5 Guides: 10 Things you Should know, Skills List, All DMC5 Weapons Guide, All Secret Mission Guide, All Blue Orb Locations, All Gold Orb Locations, All Purple Orb Locations and All DMC5 Enemies, All DMC5 Bosses.